DETROIT/BERLIN -- Volkswagen AG's $1 billion investment in a new factory in Tennessee, opening today, promises to boost sales as U.S. auto demand continues to recover from an almost three-decade low. VW announced it would build the plant in Chattanooga in July 2008, months before the U.S. economy crashed and maintained their plan, despite the downturn. The plant will assemble the Passat mid-size sedan. VW CEO Martin Winterkorn has said he plans to boost the company's U.S. sales to 1 million vehicles a year, including Audi and other brands, by 2018. Automakers have announced more than $17 billion in factory investments for the U.S. and Canada since the beginning of 2010, including $2 billion by General Motors Co. this month, according to the Center for Automotive Research in Ann Arbor, Michigan. Total sales in the U.S. of cars and light trucks may rise to 13 million this year, the average of 18 analysts' estimates compiled by Bloomberg. Light-vehicle sales last year climbed to 11.6 million from a 27-year low in 2009. VW said the United Auto Workers union may try to organize the German automaker's U.S. workers. UAW President Bob King has said he expects to organize at least one non-union auto plant in the U.S. this year. He has said he's begun preliminary discussions with some of them and has declined to identify which companies may be targeted. An organizing attempt may be made "at some point of time, probably," Frank Fischer, head of the factory, said in an interview. "This is up to our employees." VW is a possible target for the UAW because it's new, said Gary Chaison, a professor of industrial relations at Clark University in Worcester, Massachusetts. The Chattanooga site is Volkswagen's first assembly plant in the U.S. since 1988. "All of the established plants the UAW has made efforts at and has been unsuccessful," Chaison said in an interview. "A new plant would be a very tempting target for the UAW." Michele Martin, a UAW spokeswoman, declined to comment. 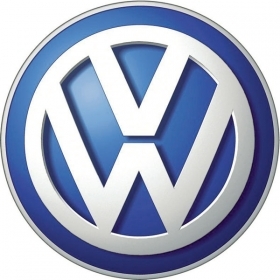 Thomas Loafman, the plant's director of purchasing, who was part of the team that selected the site and set up the operations, said that VW picked the city partly for its available workforce. People have been excited about the jobs, he said. More than 85,000 applied to work at the plant, with 35,000 seeking hourly production jobs during a three-week period, said Hans-Herbert Jagla, the plant's executive vice president for human resources. "We treat them fair, we provide a lot of benefits, like retirement and health care," he said. The plant will have a fitness center, and a health-care clinic for workers is being built across the street. VW already has hired 1,700 people and aims to employ more than 2,000 as production increases, Jagla said. The average age of the production workforce is 36, he said. Some of the workers have manufacturing experience and few have worked in an automobile plant, Jagla said. The training center, the first building to open on the complex, overlooks the plant and includes voluntary German classes and a snack shop called Das Cafe. Each worker spends three weeks in training, including a week learning about VW and its corporate culture and test-driving the company's vehicles, and six to nine weeks in on-the- job training. While VW has been in contact with the UAW, it hasn't received an "official letter," Jagla said. "The UAW has an approach all over the U.S.," he added. "We will have a voice for all of our employees here and we will stick to the law how we treat a possible attempt." The UAW has struggled to organize foreign automakers' operations in the U.S. South, Chaison said. "There's no tradition of unionization, and because with a new plant, there are no grievances that are being brought up," he said. "This is their first chance at a well-paying, solid, industrial manufacturing job." Employees doing early work on the assembly line said they were attracted by the stable jobs and competitive compensation. "There are good opportunities for advancement," Bryan Thomas said of his new job. "I'm only 19, so it's a good place to start a career." Hamilton Smith, 43, said he was excited to hear that VW was coming to town. The UAW hasn't approached him about organizing, he said. "It's a fresh start with a new company, a new company that is going to provide stable jobs for the community," Smith said during a break on the line. "I think it's a company that will continue to grow here." Tonya Higgins, 40, said she left a job at a steel manufacturer for VW because it seemed like a better opportunity. The community likes VW, she said, noting that she gets "a million questions" from people when they learn she works at the plant. "This is a clean place to work; where I was working before wasn't clean at all," she said. "I think the pay is good compared to other places, and it has a chance to grow."